Winter is perhaps the least friendly season to your roof. So it’s imperative to schedule an inspection before it officially starts to ready it for the harsher-than-usual elements. High levels of moisture are synonymous with winter, and you need to identify every cause for concern to prevent water intrusion. The common red flags are broken flashings, split and missing shingles, damaged soffits and fascia boards. Without the trained eye, it’s difficult to spot them even up close. Experienced roofing specialists, including Minnesota’s 1st Choice, would agree that these problems are high on the maintenance agenda. And since roof repairs require professional work, hire a qualified crew to guarantee flawless workmanship. Sufficient attic ventilation is the unsung hero of roof longevity. Among other things, it inhibits ice damming, which is bad news for many reasons. It’s when snow turns into ice (which is heavier), and forms largely on the edges, creating an imbalance in weight distribution. These ridges of ice may look solid on the outside, but they actually have liquid water underneath, which seeps into gaps. Lastly, ice dams can become hazardous icicles covering the overhangs that can suddenly fall upon thawing. With a healthy combination of intake and exhaust vents, the temperature of your roof planes stays as close to the outside as possible. 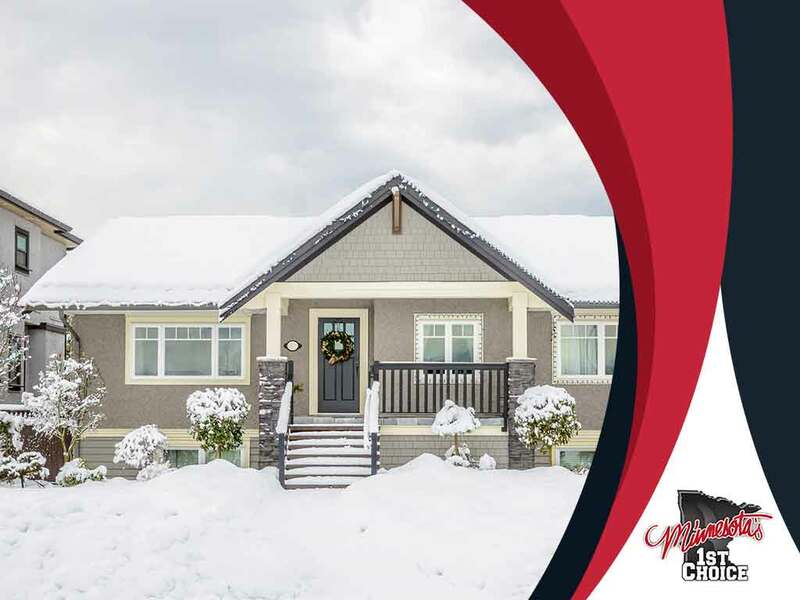 In turn, your roof can remain cold enough to prevent the snow from melting and refreezing on the much colder, lower roof sections. Gutter cleaning is an important, albeit less exciting, home improvement. It may not dramatically enhance your property’s curb appeal, but it makes sure that your roof can drain water efficiently. Many leaks happen because of clogged gutters and downspouts. And when the water can’t reach the ground on time, it can freeze, and increase the chances of ice damming. Let Minnesota’s 1st Choice help prepare your roof for the menacing winter months. Call us at (507) 200-4422 or (651) 333-4520 to set up an inspection and get your free estimate in Rochester, MN, or any nearby community.